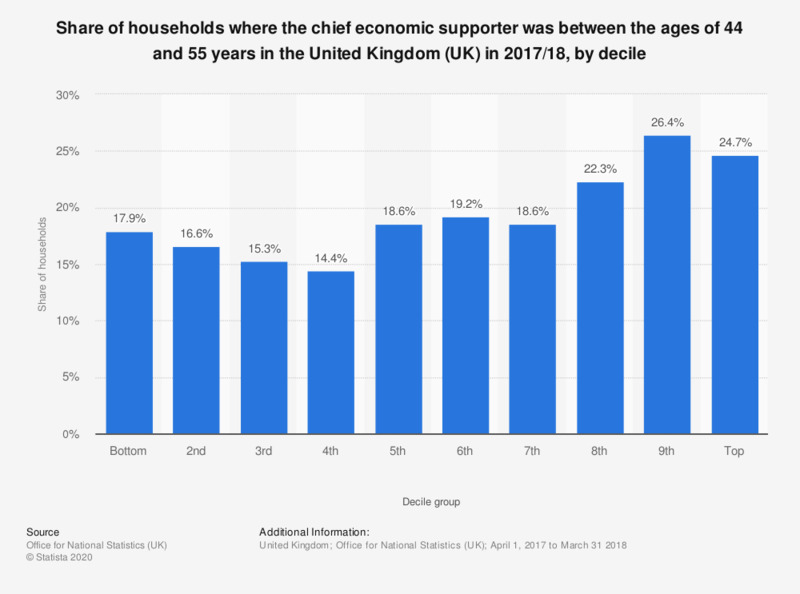 This statistic displays the share of households the chief economic supporter was between 44 and 55 years in the United Kingdom (UK) in 2017/18, by decile group. 26.4 percent of the households, in the ninth decile, lived in a home where the chief economic supporter was between the ages of 44 and 55 years. This was the highest share of any decile group, whilst only 15 percent of households third decile in the UK, lived in a home where the chief economic supporter was between the ages of 44 and 55 years, which was the lowest share of any decile group.